Are you ready to rock? 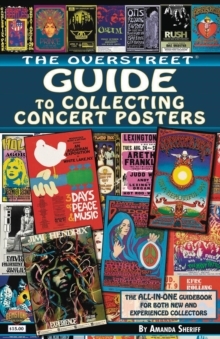 The Overstreet Guide to Collecting Concert Posters is the latest "how to" book in Gemstone Publishing's series for new and experienced collectors alike. 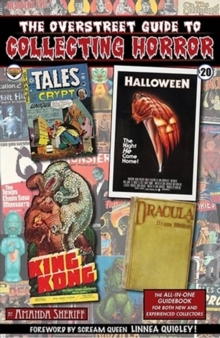 This volume melds the awesome artwork of talented concert poster artists with the melodies of great musicians as we investigate the influences of artists such as Wes Wilson, Bonnie MacLean, Rick Griffin and Frank Kozik with bands like Jefferson Airplane and The Grateful Dead. 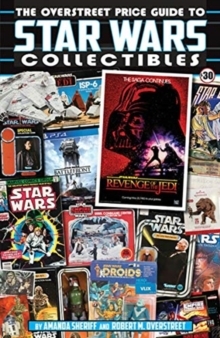 It includes artist biographies, tips on poster care, framing and storage, a concert poster market overview, a look at CGC's concert poster grading, the Top 10 sales from concert poster auctions, and interviews with poster artists, industry pros and collectors.